Wilma Edith Baker of Davisville, Missouri passed away Thursday, January 31, 2019 in Steelville at the age of 90 years, 3 months and 13 days. She was born October 18, 1928 in Cherryville, Missouri to Basil Harding Bolling and his wife, Golden Eaton Bolling. Wilma was united in marriage to Joe Baker in the year 1947 in St. Louis and to this union two sons were born. Wilma and Joe were married for seventy-one years when he passed away in October of last year. She was preceded in death by her parents; her husband Joe Baker; three brothers, Bill, Bob and Johnny Bolling; sisters-in-law, Bonnie Bolling, Nadine Watson and husband Ray, Virginia Wilson and husband Elba and Naomi Halbert and husband Welbon; and brother-in-law, Lawrence Conaway. 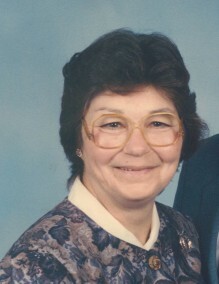 Wilma will be sadly missed and lovingly remembered by two sons, Roger Baker and wife Nancy of Davisville, MO and Rodney Baker and significant other, Heather of Ballwin, MO; brothers, Pat Bolling of Sullivan, MO and Gene Bolling of Bolivar, MO; sisters, Mildred Conaway and Mary Conaway and husband Irvin, Jr. all of Cherryville, MO and Charlene Clayton and husband Sonny of Summersville, MO; brothers-in-law, Bill Baker of Davisville, MO and Jim Baker and wife Kathy of Cuba, MO; sister-in-law, Betty Sue Gremaud and husband Pete of Pacific, MO; four grandchildren, Kathleen Donnell, Charlene Baker, Andrew Baker and Amber Baker; two great-grandchildren, Bethany Donnell and Benjamin Donnell; nieces, nephews; other relatives; and many friends. The Family received friends from 9:00 a.m. until time of service on Saturday, February 2, 2019 at the Britton-Bennett Funeral Home in Steelville, MO. Funeral services were held at 11:00 a.m. on Saturday, February 2, 2019 at the Britton-Bennett Funeral Home in Steelville, MO with Rev. Harrison Brown, Rev. Bob Coleman and Rev. John Slade officiating. Special music of "Amazing Grace" and "The Eastern Gate" was sung by Bob and Carol Coleman with Shirley Brown on piano. Committal prayer and interment were in the Davisville Cemetery, Davisville, MO with Mitch Davis singing and playing on the violin "Amazing Grace." Honored to be casket bearers were John Pyatt, Richard Gillam, Andrew Baker, Richard Conaway, Mike Bolling and John Hanneken.